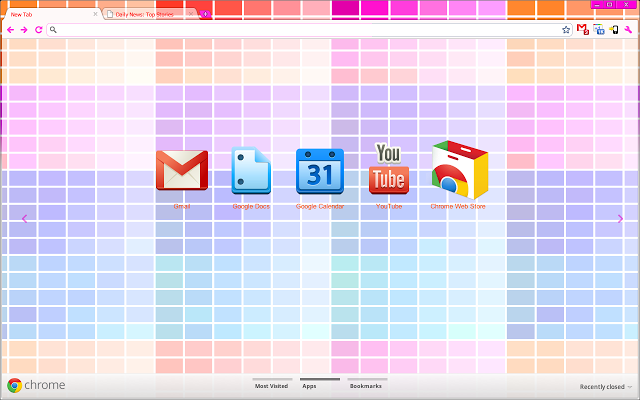 Extensions are small software programs that can modify and enhance the functionality of the browser. In addition to having access to all the APIs that web pages and apps can use, extensions can also use Chrome-only APIs (often called chrome. * APIs) that allow tight integration with the browser. Invisible page that holds the main logic of the extension. "js": ["jquery.js", "myscript.js"], // Optional. // Optional. "document_start", "document_end", "document_idle". Each extension can have at most one browser action or page action. 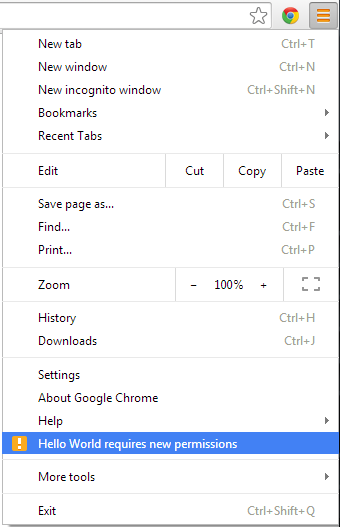 The both browser and page actions can have an icon, a tooltip, and popup. Browser action can also have a badge but page action can't have. In addition, page actions can appear and disappear. The extension pages can make direct function calls to each other since all of them are executed in same process on the same thread. Once a page has a reference to other pages within the extension, the first page can invoke functions on the other pages, and it can manipulate their DOMs. // the system will ensure it is loaded before calling the callback. // If there is no background page, an error is set. // The IDs of extensions or apps that are allowed to connect. // The wildcard "*" will allow all extensions and apps to connect. // The URL patterns for web pages that are allowed to connect. // If left empty or unspecified, no web pages can connect. // The URL pattern must contain at least a second-level domain. If there is no externally_connectable, all extensions and apps can connect, but no webpages can connect. If you use externally_connectable and "ids": ["*"] is not specified then other extensions will lose the ability to connect to it. CSP introduces some fairly strict policies that will make extensions more secure by default, and provides you with the ability to create and enforce rules governing the types of content that can be loaded and executed by your extensions and applications. "content_security_policy": "[POLICY STRING GOES HERE]"
"content_security_policy": "script-src 'self'; object-src 'self'"
CSP applies to the background pages and event pages of the extension. To use most chrome. * APIs and extension capabilities, your extension must declare its intent in the manifest, often in the "permissions" field. Some of these declarations result in a warning when a user installs or autoupdate your extension. 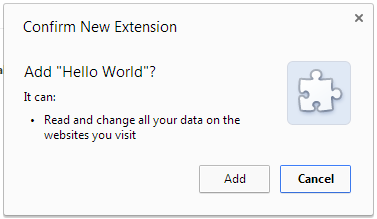 When the extension autoupdates, the increased permissions cause the extension to be disabled until the user re-enables it. 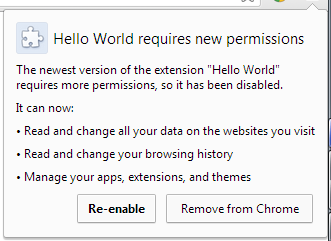 // The callback argument will be true if the extension has the permissions. IMPORTANT: Permissions must be requested from inside a user gesture, like a button's click handler. Extensions are packaged as signed ZIP files with the file extension ".crx". When you package an extension, the extension is assigned a unique key pair. The extension's ID is based on a hash of the public key. The private key is used to sign each version of the extension and must be secured from public access. Enable "Developer mode" checkbox at the top. Click the "Pack extension" button and specify the path to the extension dir (you don't need to specify the path to private key file for the first time). Click "Package" button and two files (".crx" - extension and ".pem" - private key) will be created. Click the "Add new item" button, choose created ZIP file and click "Upload"
Fill out the form about your extension and upload images. Before you publish your first app, you must pay a one-time $5 developer signup fee. Test the extencion and click the "Publish" link to publish your app's listing in the Chrome Web Store. A manifest should contain an "update_url" field, pointing to a location for doing update checks. The content returned by an update check is an update manifest XML document listing the latest version of an extension. The browser makes a request to that URL looking for an update manifest XML file every few hours. The newer version of the extension is downloaded and installed automatically.